I don’t know where the time has went since coming back from the festival. It was a fantastic show this year and have lots of orders to get on with as well as restock my galleries before the Christmas rush. As usual, when I took time off after the fair I got ill so had to rest. But I’m starting to feel a little better so it’s time to get back on track. September has been a busy month of exhibiting and networking, as well as making new connections and pushing my work in new directions. On the weekend of the 19th and 20th September I took part in Tea Green Events ‘Doors Open’ at the Lighthouse in Glasgow. It was a lovely show with lots of lovely, high quality designer makers. I’m going to be focusing on exhibiting at higher end events from now on. This week I’ve really pushed myself as I took part in the Business Showcase at the Dundee and Angus Chamber of Commerce and did a talk on Crowdfunding. 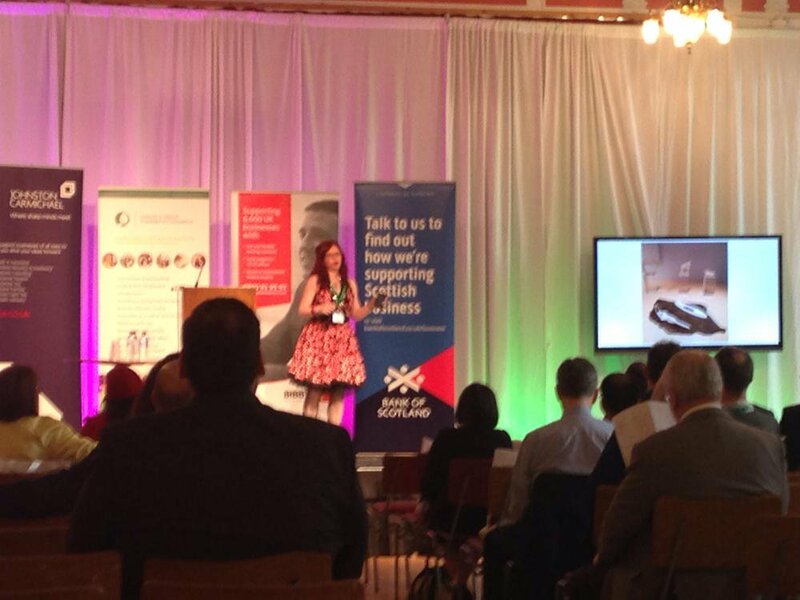 It was a massive confidence boost for me as I am in no way a public speaker so was very nervous, especially when I saw how big the room that I had to present to was! But hay hoo! You have to push yourself to do things that challenge and scare you. I’ve realised that I have to stop giving into my fears and JUST DO IT! Fears stop you getting things done. I’m so pleased I’ve actually managed to do a talk to lots of people, on a stage. I got some really good feedback including ‘very insightful presentation’, interesting and refreshing talk on crowdfunding, it’s not all big business’, ‘Genna is so passionate about her business’. So chuffed, so the next step could be Pecha Kucha for me! EEK! The week isn’t over yet I’m currently preparing for a Wedding Show at West Park Conference Centre on Sunday 27th September from 12-4pm. If you are getting married and need to sort out things for your wedding then head along on Sunday to the Wedding Fair. I do bridal jewellery, wedding and engagement rings, cufflinks, kilt pins, tiaras and other bespoke pieces for your special day. Get in touch with me to see what’s possible!